You’ll start to see positive changes in your mental and physical approach to the game as early as your first training session. At GreenToTee we have successfully trained all levels of golfers. We teach the “Sundays only” golfers, the first-time golfers, and the seasoned players. We address ways women can modify their play and increase distance. We’ve helped students at the high school, college, and professional levels. 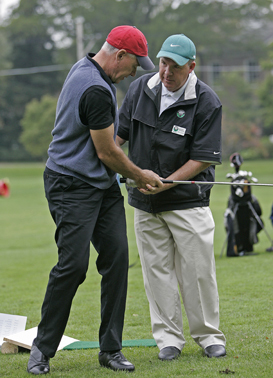 GreenToTee is not “one-size-fits-all” golf instruction. The pros at GreenToTee work one-on-one to develop your own planned personal program by using the most effective tools, techniques, and technology to build a better game. You’ll receive instruction tailored to overcome your weaknesses. And, most importantly, you’ll achieve the consistency and confidence you need to execute the necessary shots. 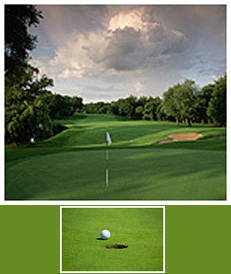 With GreenToTee you’ll enjoy lasting improvements, lower scores, and overall better play. You’ve never had golf instruction like this before. Shouldn’t It Be Called “Tee to Green”? So why do we call ourselves “GreenToTee”? Because the fact is, while powerful drives look impressive, and can set you up for successful approach, most of your strokes take place on and around the green. By starting there, and working your way back up the fairway, through longer and longer clubs, we give your game the foundation it needs to support changes in your swing and your mental approach to the game. A confident putter knows that once he or she makes the green, they’re down in one or two. So how do you make more greens on fewer strokes? With effective chipping and pitching. How do you guarantee effective chipping and pitching? It starts by hitting an accurate approach shot. And what conditions lead to an accurate approach? How about a long, powerful, accurate drive. And just like that, you’ve worked your way from green to tee.